As soon as we receive the DNA samples at our offices they will be dispatched to the laboratory for testing, results are released 4 working days from receipt of swabs by our laboratory. If you require a faster turnaround time and would like to take advantage of our rush processing service at extra cost, please contact us to discuss your requirements. We will confirm receipt of your samples by e-mail and notify you of your unique case reference number. You must ensure that you have indicated on the registration form how you would like to receive your results. If you are unable to take a DNA sample using the swabs provided, please contact us for a list of alternative DNA sources including hair, nail clippings, bloodstains and cigarette butts or click here for full details. Please contact one of our customer service advisors on 01273 227544 if you require a relationship test other than a paternity test, or would like to test additional applicants. We will advise you of any additional costs and make the necessary arrangements. Note that if you require a test for legal or immigration purposes, you must contact us before using your kit as there are a number of additional processes and checks that need to be undertaken. It is sincerely hoped that we are able to provide the answer you seek from these tests, however we would also urge you to consider the repercussions of an unfavourable result. We have formed alliances with a number of professional bodies who are able to provide independent advice and counselling; you will find details at DNA Help & Support. The answers to the most frequently asked questions can be found on our website at DNA FAQs. Finally, should you have any questions, queries or issues with regards to the service our company provides, please do not hesitate to contact us on 01273 227544, or e-mail us at homedna@ibdna.com. DNA samples can be collected in just a few seconds using mouth swabs. The procedure is quick and painless. Swabs need to be rubbed inside the mouth and under the tongue for 30 seconds. All precautions and steps to follow will be explained on the instructions inside your kit. Results will be available 4 working days from the day our laboratory receive the samples. Fees are in addition to the cost of the sample collection kit and are paid when samples are returned to us for testing. Establishes the paternal link between an alleged father and a child, without the need to test the mother. These tests are 100% conclusive for exclusion and greater than 99% for inclusion. Establishes unquestionably the paternal link between an alleged father and a child by additionally testing the mothers DNA as well. These tests are 100% conclusive for exclusion and greater than 99.999% for inclusion. Establishes unquestionably the maternal link between an alleged mother and a child. These tests are 100% conclusive for exclusion and greater than 99% for inclusion. Price: £70.00 If more than one relationship needs to be established. Provided at a reduced cost for subsequent tests. This test determines the statistical probability of whether siblings (brothers and sisters) share the same two parents or not. The relationship between alleged siblings (full or half) can be established with 15% exclusion and 90% inclusion conclusivity. When the issue of siblingship is in question, the recommended method to determine whether individuals are true biological siblings is to test their parents. In situations where the alleged parents are unavailable for testing, a DNA siblingship test can be performed to analyze the relationship of biological siblings. Including one common parent greatly increases the accuracy of this type of analysis and is recommended if at all possible. The Y–STR male lineage test is used to determine whether two or more males are related through their paternal lineage. The Y chromosome is passed from father to son and has a relatively infrequent mutation rate, thus it remains the same through many generations. This test focuses on the Y chromosome and results in a unique YSTR profile for each male tested. It is important to note that this test will not differentiate between men that are in the same paternal lineage. Establishes whether fraternal or identical twins, or siblings. Paternity and/or maternity can also be verified. Please contact us for more information. This test can be used to assess genes from the paternal side of the family, even when DNA from the alleged father is unavailable, by establishing a link between the DNA of a child and the DNA of an alleged uncle, aunt or grandparent. It is important to note that uncles, aunts and grandparents will have only one quarter of their genes in common with a child, whereas parents and children have half their genes in common. Because of this two-fold dilution of genes, the test cannot achieve as accurate results as a parent-offspring test. Nonetheless, it will provide a numerical probability for the alleged familial relationship. Receive a hard copy of your unique DNA fingerprint. Also available in a presentation pack for that unique gift idea! To stock the International Biosciences Home DNA Kit, please contact us on 01273 227544. NPA members may order International Biosciences Home DNA Paternity Kits online via the NPA Webshop at www.npa.co.uk/Sales/Webshop/, quoting Product Code DNA001. Alternatively, call NPA Sales on 01727 800401, fax 01727 795904 or email sales@npa.co.uk. Counselling & Support: We take concerns regarding support and counselling very seriously and any applicant considering a paternity test or any type of DNA test should consider the repercussions of an unfavourable result. We have formed alliances with a number of professional bodies who are able to provide independent advice and counselling. Full details can be found on our DNA Help & Support page. Data Protection: International Biosciences does not share its data with any third parties. Applicants are asked to provide a password with their completed registration form and no details pertaining to their case will be released unless this password can be confirmed by the person making the enquiry. We do not share personal details or DNA profiles with any Government agencies or third parties unless served with a court order, for example to assist in a criminal investigation, and applicants can be assured that we do not contribute any information to the National DNA Database. Accreditation: All DNA analysis and DNA testing is carried out at a laboratory accredited in accordance with the recognised International Standard ISO/IEC 17025:2005 by ACLASS, a signatory to the ILAC arrangement. The laboratory offers state-of-the-art facilities for autosomal (STR) DNA analysis, Y-chromosomal (Y-STR) DNA analysis, mitochondrial (MtDNA) analysis and mini STR DNA analysis for forensic casework. Accrediting bodies include ISO 17025:2005, ISO 9001:2008, ACLASS, NATA and AABB. Consent: The mother of the child automatically has Parental Responsibility, as does the father if he is married to the mother of the child. The father may also have Parental Responsibility if he is named as the father on the birth certificate, provided the birth was registered (or re-registered) after 1st December 2003. The father may also have Parental Responsibility if he has a formal Parental Responsibility Agreement lodged with a court, or a Parental Responsibility Order or a Residence Order. Persons other than the parents may also have Parental Responsibility for a child, usually by Court Order. It is recommended that applicants seek legal advice for further clarification if required. 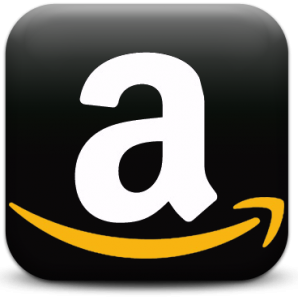 Amazon.co.uk opened its virtual doors in October 1998 and strives to be the world’s most customer-centric company, where people can find and discover anything they might want to buy online, and endeavours to offer its customers the lowest possible prices. Click here to buy a DNA Paternity Test Kit from Amazon. Chemistdirect.co.uk provides over 20,000 health and beauty products online at the lowest guaranteed price. The service is supervised by fully qualified pharmacists who are available to discuss symptoms and issues about medical problems in a confidential environment through email or telephone and oversee all medicinal purchases. Click here to buy a DNA Paternity Test Kit from Chemist Direct. Clockwork Pharmacy will be the first retailer in the UK to sell DNA paternity test kits over the counter to the general public. Initially they will go on sale on 17 November at its store at 380-400 Mare Street, London, E8 1HP, followed by its other 10 outlets in London and Kent. Click here for the Clockwork Pharmacy Branch Locator. Day Lewis Pharmacy The largest independent pharmacy group in the UK. Click here for the Day Lewis Store Locator. Doctor Fox is based in Bristol and employ only experienced GPs who are registered with the General Medical Council. They provide consultations and prescription medicine online and also offer some non-prescription items including DNA paternity testing kits. Click here to visit the Doctor Fox website. Medipharmacy Group have 23 stores within the M25. All Medipharmacy staff have the skills necessary to provide a seamless and professional service which exceeds the expectations of our customers. Please click here for the Medipharmacy Store Locator. 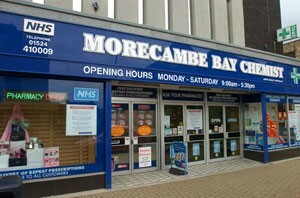 Morecambe Bay Chemist is probably the largest independent pharmacy in the Morecambe / Lancaster area and has friendly, qualified staff, an extensive range of pharmacy medicines, a well stocked dispensary and many counter lines readily available. OneClickPharmacy is the UK’s cheapest and most comprehensive online pharmacy, offering over 40,000 health, electrical, pet and beauty items at up to 90% off high street prices. All OneClickPharmacy orders and services are supervised by fully-qualified UK pharmacists. Please click here to order your Home DNA Paternity Test Kit. Pearl Chemist is a Family Owned Business based in Tooting, London with 7 branches in South West London. Pearl Chemist fully adheres to the standards set by the Royal Pharmaceutical Society of Great Britain and is overseen by fully qualified pharmacists. Pearl Chemist is also a member of the National Pharmaceutical Association (NPA). Walton Pharmacy has been established in Surrey for over 50 years and on the internet for 10 years. As a local community pharmacy, we can offer a wide range of services and facilities for you and your family. Click here to purchase a DNA test kit online. Please visit our Press Releases page for the latest news and press releases. All press enquiries should be directed to pr@ibdna.com, 01273 227544.